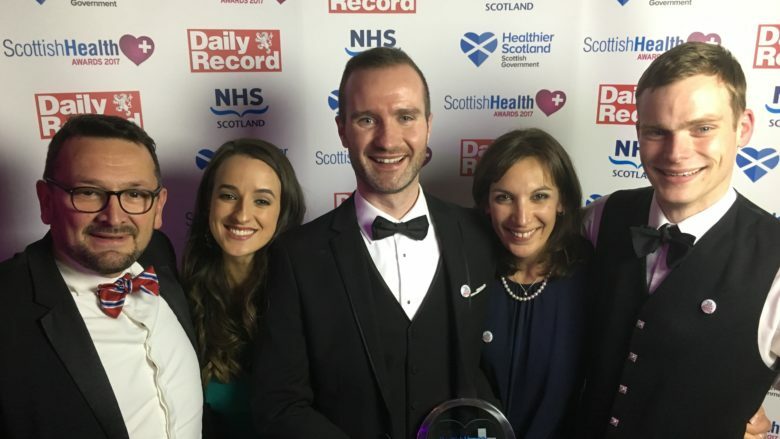 Two foundation dentists from Edinburgh have picked up an award for their work in organising a mouth cancer awareness campaign. 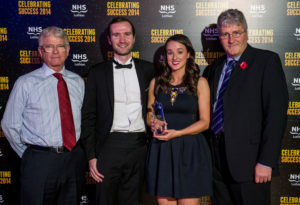 Niall Mc Goldrick and Orna Ni Choileain won the Voluntary Service Award at the NHS Lothian Celebrating Success Awards 2014 for their ‘Let’s Talk About Mouth Cancer’ campaign. The campaign held three mouth cancer screening events in conjunction with the oral surgery department at the Edinburgh Dental Institute. The first was in a marquee on Bristo Square, Edinburgh, the second at the Edinburgh Canal Festival and the third on the Meadows during the Edinburgh Festival. Free CPD sessions for the dental team were also provided. Niall explained that they have recently registered Let’s Talk About Mouth Cancer as a charity in order to build on and continue the good work so far. He also said that there are plans for further screening and CPD events in the near future. Copyright © 2019 Let's Talk About Mouth Cancer. All Rights Reserved.